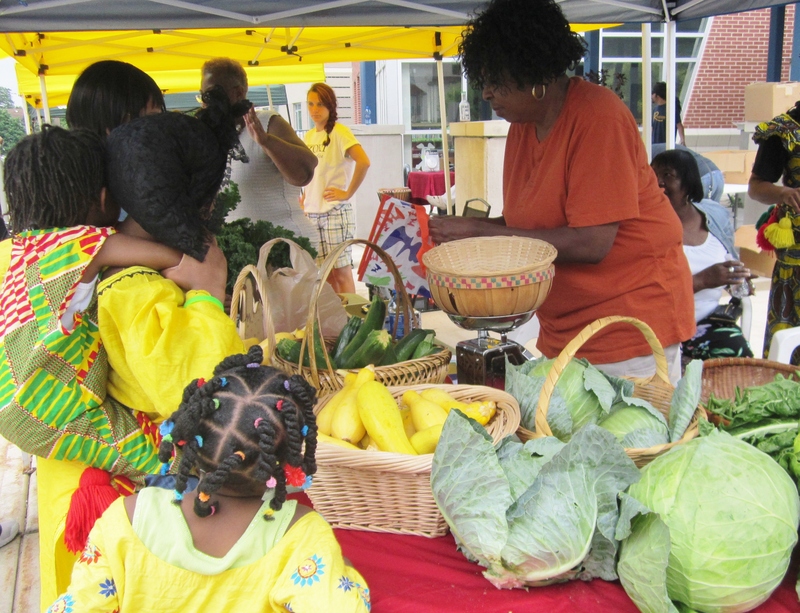 The Southeast Area Farmers’ Market kicks off its 2015 season on Friday June 19, 3 – 7 p.m., at Garfield Park, 334 Burton St. SE. and Saturday June 20, 11 a.m. to 3 p.m., at Gerald R Ford Academic Center, 851 Madison SE. The market is managed by Our Kitchen Table (OKT). The market warmly welcomes patrons using Bridge cards (SNAP), Double Up Food Bucks ,WIC Project Fresh, Cash Value Benefits, Summer EBT and debit cards. As part of a Fair Food Network pilot project and in cooperation with the Kent County Health Department, OKT has been signing people up for the Double Up Food Bucks program. Patrons purchasing Michigan produce at select farmers’ markets with Bridge cards receive $1 for each $1 dollar spent, up to $20 each market visit. Cooking Demos: June 26, 27, July 24, 25, Aug. 21, 22, Sept. 26, Oct. 24 and Nov. 7. The Southeast Area Farmers’ Market is sponsored by Kent County Health Department, Greater Grand Rapids Food Systems Council & OKT, market managers. ← Look for OKT at Rock the Block!